Yeah, that was a misleading headline. We're keeping a LOT of stuff from you until release, but that's for your own good. Trust us! So what do we have here? We’ve got five new screenshots! We’ll walk you through them one by one in no particular order. Toki Tori’s world has two mountains in it. 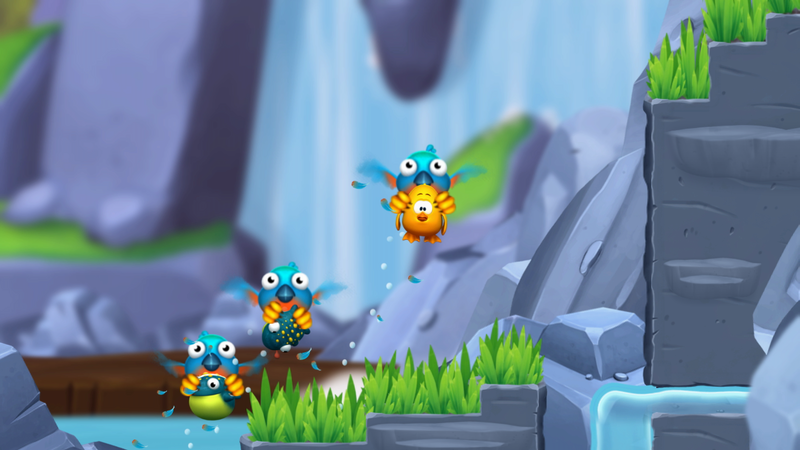 One of them has a water theme, and Toki Tori’s very close to reaching it in this shot. 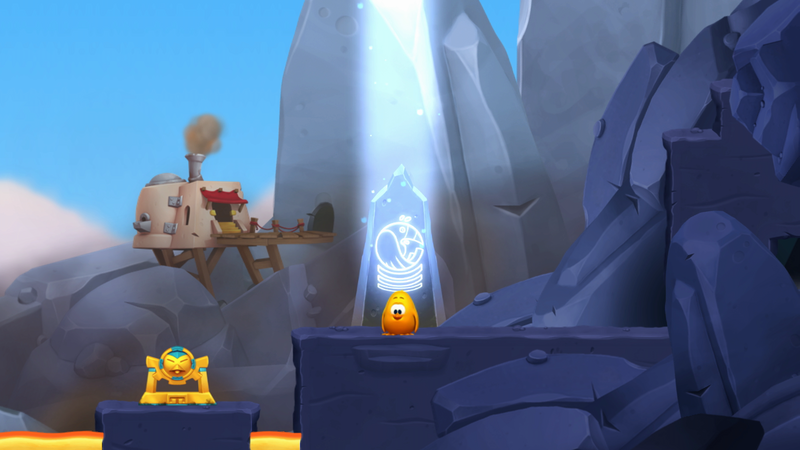 Yup, Toki Tori 2 actually features scenes, which are fully playable, that form a storyline. 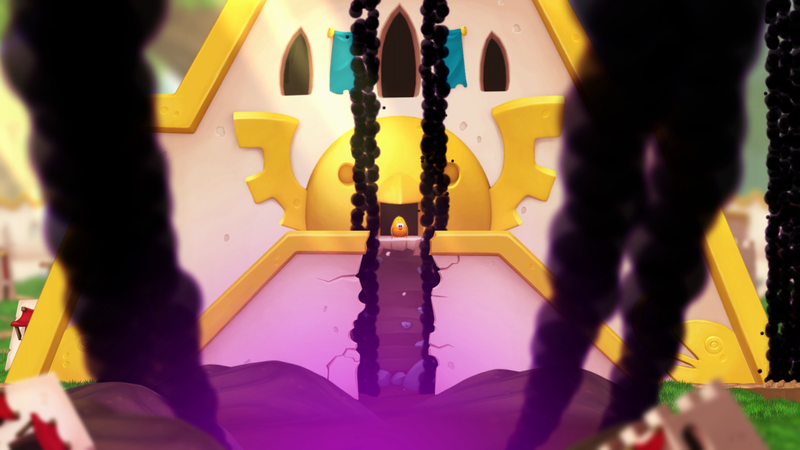 This shot gives you a glimpse of what’s wrong in Toki Tori’s world. This shot shows you a place that’s going to be pretty hard to find when you play the game. Since the game world can be explored freely, it’s up to you if and when you’ll find it! 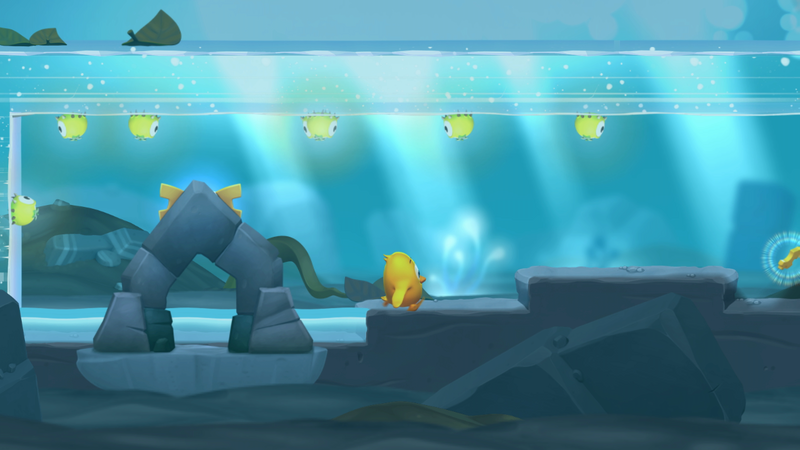 Toki Tori’s kinda helpless without the other creatures. It’s this helplessness that actually makes the puzzles interesting. In this case he and his frog friends are being transported by the taxi bird. 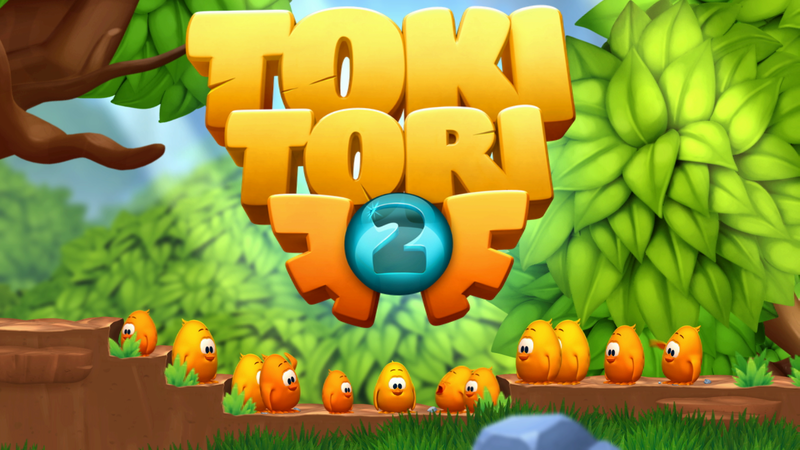 Toki Tori’s not alone in this sequel. That’s all we’re saying. We’re also working on a few quick gameplay videos to make sure everyone knows what the game is all about. Expect them starting next week, if everything goes according to plan!